We asked Mike, lead guitar player for The Mudhens, if he'd be interested in working on a project with us. Sumpin' purdy simple to start with. we take the 4 camera live shoot, the audio from the cd (maybe), animation and/or other live footage to help convey the meaning from #2.. and combine it all together. The trouble... the trouble usually starts with who owns what. I'd like to keep it simple. both sides agree that it should be used for promotional purposes to the best of our abilities. should anyone ever make a dime from the video, we'll need to recoup our losses and give the net profits to charity. Hi, I spoke to everyone and we'd love to try and start working on it. Why don't you let us know which song jumps out at you as the one we should go with? I'll tell you what we thought and what other people are saying but you have a strong idea of the concept that you're going for so let us know what you think will be best. Thanks! Hehehe... it's funny you should ask... cuz I was listenin' to the cd while in da shower... and it hit me -- this should be a (don't) buy one, get one free deal? 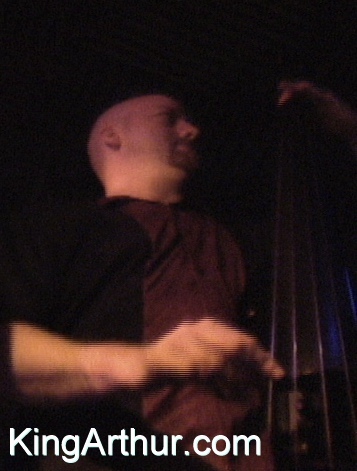 would be cool to see if Anthony Resta (Producer) was interested in shooting some footage? I like songs that explore that complexity of love... be it ironic... bitter sweet, etc. So, that would be the (don't) buy one part of today's special. As it so happens, i just produced a music video called America... All Right! thus, one of the multimedia suites is stuphed with America stuff. That's where the get one free part comes in. However, I'm stilling trying to figger that song out... am I reading more into the song than you meant? ... or, unless i didn't pick a good song... then, we'd have to do three? Remember when I was talking about the "love" thing? Well, a visual musical idea is conjurin' up in my pea brain. I've been thinking about a concept that combines "The Beatles like interludes will lend themselves to animation sequences" and "I like songs that explore that complexity of love... be it ironic... bitter sweet, etc." The complexities of love amuse me. Are you familiar with Chaos Theory? How about fractals? A Chaotic System is not random. Some other examples of chaotic systems are hurricanes. If you are in the middle of one, it appears as though all is a mess. But, if you pull way back, you can see the beautiful spirals that make a pattern. A dripping faucet, smoke rising from a cigarette, and the solar system are all examples of chaotic systems. A visual representation of chaos theory can be found in fractals. Fractals are graphics created from formulas based on chaos theory. They can also be fairly psychedelic. 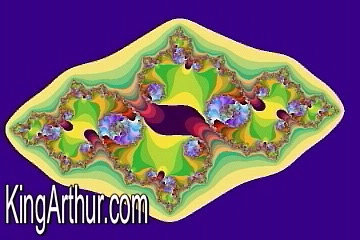 So, that is what I am thinking about... trying to use fractals in the video during the psychedelic guitar interludes... to help represent the chaotic nature of love. In case this is getting toooooo deep, I'll try to bring it home: the emotion of love can be very complex -- like fractals. When one is involved in a relationship, "a tiny change can have a huge effect." Also, if you take too close of a look at love, you might not see the reality. But, if you take a step back, a clearer picture may emerge. Maybe you'll see something wonderful like a snowflake. Or, maybe you will see the fiercest storm system of all time. The latter appears to be the case in the song we're working on. The songwriter has finally taken a broader look, and their vision of the big picture is getting clearer. Now, that the author can view the entire relationship from afar, it doesn't even resemble true love. In fact, the system that was thought to be love and romance is really more like dark clouds or a storm front? Is that why you may "feel a whole lot better" when I'm gone? 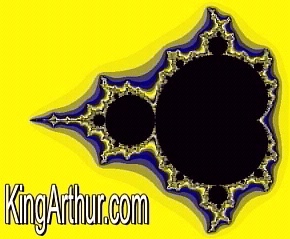 Cool clips... the cameo eye is very slick (Emily's, the lead singer's, eye makes a cameo in Pete Chandler's Ode To Sting)... what program did you use to make the fractals? They were rendered using a Linux box and a program called Main Actor. I can't see the Pete Chandler piece using Netscape. That video clip is an experiment using Intel Video Interactive format. Try using a different browser... and, let us know? I have been diagnosed with epilepsy, which is currently under control by 1000mg of Depoke each day. certain combinations of light at a certain rate have been known to cause seizures. I experience grand mal seizures when i have them. please let me know if there are any dangerous for someone like myself. i may be willing to cooperate in research, but i would like to know of any possible adverse effects in advance. as far as other things to offer, i am a systems administrator for -ix systems. I've been interested in applications of chaos theory for some time. Dear Ueriah, This is a very odd day... a chaotic convergence of sorts? After getting your inquiry (about sight causing seizures) I got an email from a musician. we are working on a video project with him. That's purdy funny... I was thinkin' about that exact same seizure thing... in fact, I've traded some emails today about this very subject. Using a Linux box, we rendered some fractals and put it to this piece of his music. The internet pieces are only at 5 frames per second or less... and, are very small... so, I can't imagine there is a risk for you. However, I am afraid what might happen if you saw it at 30 frames per second on a TV set? In any event, i find it quite interesting that you should write to me about chaos and seizures... on a day when we're talking about fractals and seizures. Hmmm.... what if we try to think up a way to safely test the full size video? Depending on the etiology of the seizure and location of the epicenter in the brain, light may have some effect but probably very small. If your friend is well-controlled on the Depakote medication (no more than 1 seizure per year), I dont think he'll have a problem. Would you like to contact The Mudhens, The Grape Street Pub, or KingArthur.com?